We have have performed at festivals all over the UK and have various different presentations. Our entertainment packages depend on whether you want a show or sideshow – we love keeping it fresh and fun and tailoring the entertainment to your specific dynamic! Please click on each package for more info. 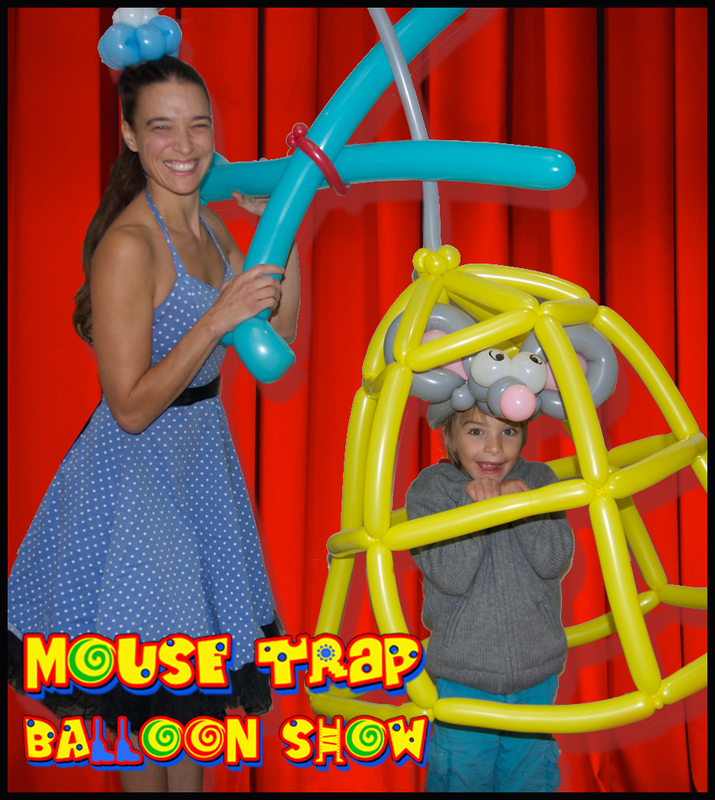 Our newest and most exciting new package is The Mouse Trap Balloon Show which is a fun science and mechanics based performance using balloons to demonstrate simple machines. This highly entertaining show both educates and entertains with great involvement from the audience. You can find out more on this show at the MOUSE TRAP BALLOON SHOW page ! Walkabout Balloon Twisting is a great sideshow to your kids field! It has been our most popular at festivals over the last few years and gets really booked up at summer events! We specialise in wearable balloon designs which are ideal for an outdoor environment, and kids love being made into butterflies, aeroplanes, helicopters, horse riders, insects and jetpack fliers!! We also make all the usual animals as well as princesses, superheros, dinosaurs, cars and loads more! 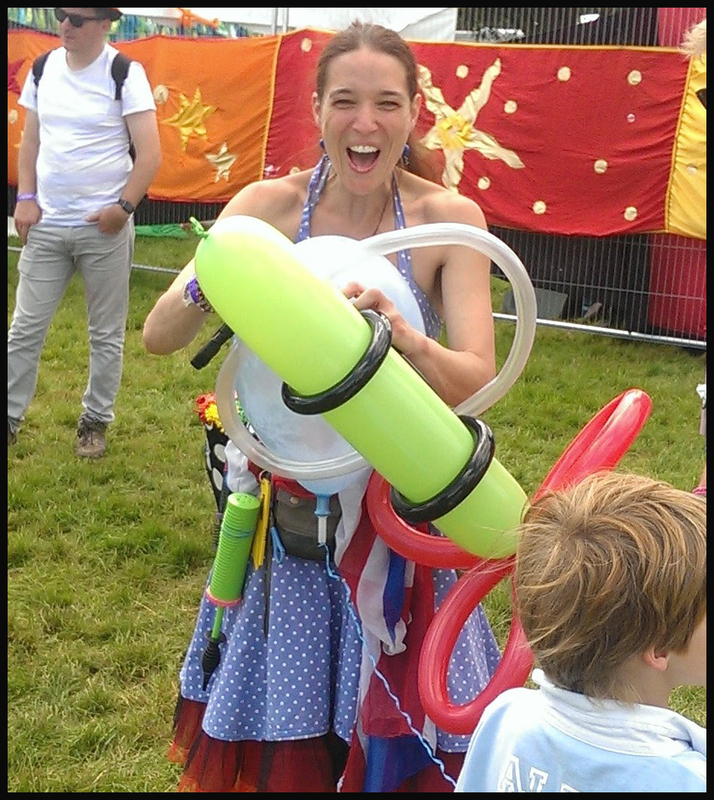 See more of our festival balloons at our FESTIVAL PICS page. Our Dancing and Games Party Hour brings a party to any time of day! It is ideal as a Wake Up and Shake Up kick starter to a morning , or just as a fun interactive hour entertaining and engaging and getting everyone up and moving! A mixture of party dances, props for up to 150, popular favourites and some fun and funky moves. It is guaranteed to get everyone up and moving! Younger children are always delighted to receive a hand stamp at the end to show how awesome they were! 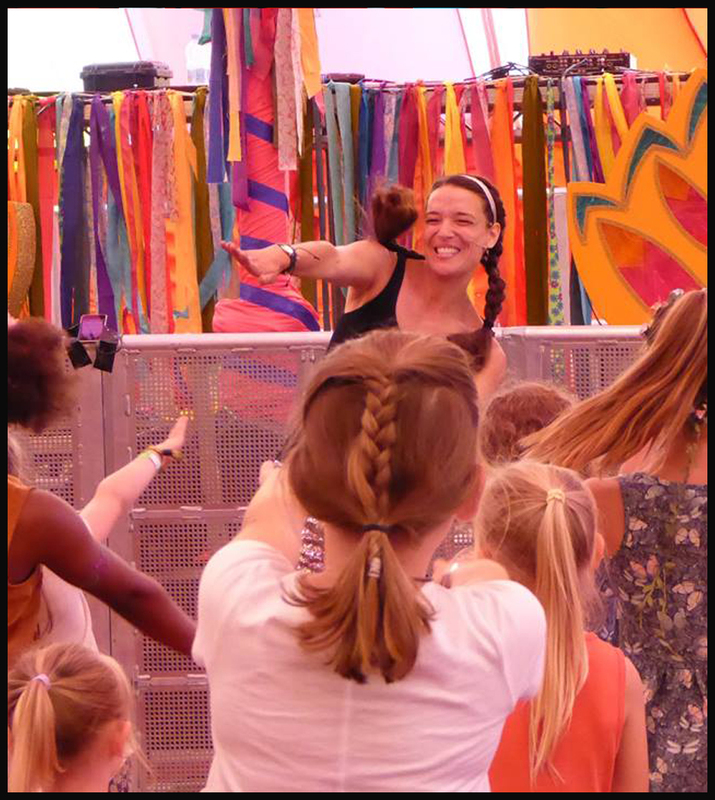 See some of the dancing and games in action on our FESTIVAL PICS page!